It’s no secret to anyone by now that the amount of yeast pitched into wort plays a major role in the resulting beer. It affects the fermentation onset, progression, alcohol production, and overall flavor characteristics of the finished product. Pitch too little and fermentation may not complete to the degree desired, yeast may stress out and release compounds that cause flavor and aroma flaws, and the beer overall may just turn out “weird.” Pitch too much and your beer will not have the flavors and aromatics desired and just be “too clean.” Both these scenarios may be seen as problematic for the brewer. While over-pitching is not such a big concern on a homebrew level unless you decide to ferment a mild on a full cake from a Russian Imperial Stout (RIS), under-pitching is an all-too-common occurrence. The wealth of information available on the subject is quite abundant and there aren’t that many people left who are unfamiliar with the concept. But how does one go about determining proper pitching rates? 1,000,000 cells X 12.4⁰P X 20,000mL = 248,000,000,000 => 248 Billion cells. 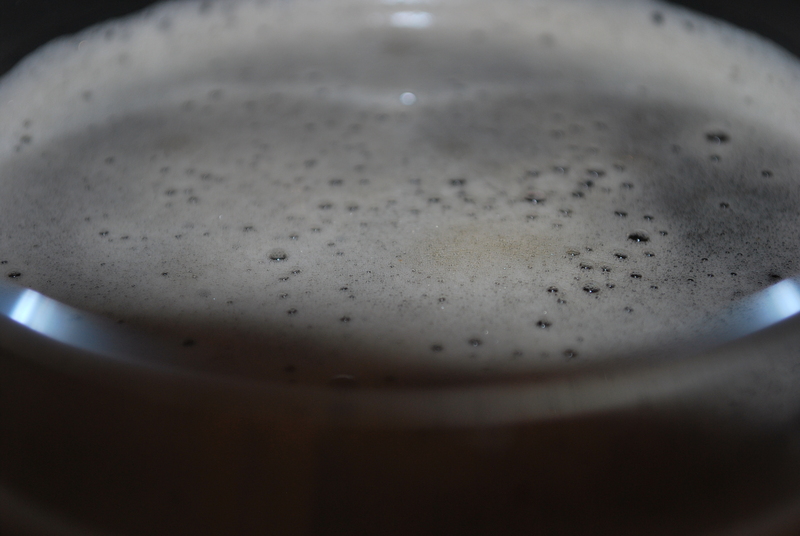 Repeating the same calculation for lagers would give us 496 Billion cells. For those of us who use the specific gravity system (myself included), a quick review of the Plato scale may be in order. Developed in 1843 by Karl Balling and Simon Ack, and later improved by Fritz Plato, Plato scale measures density of wort as a percentage of extract by weight. As a reference it utilizes sucrose and its solubility in water. Therefore Plato density is correlated to percentage of sucrose in solution by weight. For example 15⁰P is equivalent in density to a 15% solution of sucrose, known as 15% Brix (°Bx) in wine industry (Wikipedia). Degrees Plato are also often expressed as OE for “Original Extract” (Wikipedia). To convert between ⁰P and SG one may utilize a simple formula ⁰P = SG/4. For example 12 = 1.048/4. This formula begins to fail around SG 1.050 and deviates further after 1.060 due to the fact that the exact correlation between the two systems is not linear. A more exact formula would be ⁰P = 259-(259/SG) and offer a greater accuracy of conversion. This deviation from linearity is caused by the fact that the final wort volume is greater than that of the water used to make it due to solubilizing of sugars constituting it (Troester, 2012). Each system has its advantages and Plato is more popular in Central European brewing industry while SG is more common in the homebrewing culture in Americas and countries from whom we inherited most of our brewing traditions, namely Great Britain. Professional brewers, however, prefer Plato. Personally I find SG easier and more intuitive to use, but by no means is one better than other. Let us continue. Why is the demand for cell numbers twice as high in lagers as it is in ales? I believe it is due to the conditions of fermentation as well as nature of lager yeast – Saccharomyces pastorianus. S. pastorianus is a close relative of S. cerevisiae and S. bayanus and is believed to be a hybrid of the two due to a large number of similarities and overlaps between the species. These include the ability to metabolize melibiose – trait exclusive to very few yeasts such as S. bayanus, mitochondrial and ribosomal DNA also seems to be S. bayanus-derived, inability to grow in temperatures as high as S. cerevisiae is able to tolerate (think about Saison yeast) and faster proliferation at low temperatures than that of S. cerevisiae (Wikipedia). S. pastorianus has been shown to possess three types of chromosomes: 1) chromosomes from S. cerevisiae; 2) chromosomes from S. bayanus; 3) recombinant chromosomes from both species (Nakao, et al. 2009; Tamai, et al. 1998; Querol and Bond. 2009). In my search on the topic I could not come up with anything concrete in terms of cell number requirements so my opinion is that the temperature and cell size are the main deciding factors. Metabolic processes are slower and more yeast are needed to process through the wort in a timely fashion without population stress (same story as with underpitched ales) that may result in off flavors and other flaws such as incomplete fermentation. One more thing to look at is the fermentative nature of this yeast. Since they stay at the bottom over the course of beer fermentation, they do no move through it as much as ale yeast that float up to the top and go down and up and thus there is a lot more contact between the beer and yeast in an ale than lager. Another issue is cell size. There are reports floating around the web about lager yeast cell being smaller than ale ones. To confirm this I looked at WY2206 Bavarian Lager and the results are that these cells are indeed about 1.5-2 times smaller than US-05 (see below). It stands to reason then that each cell can only handle a fraction of the metabolic load that an average S. cerevisiae cell can and thus more cells are needed to process the wort. 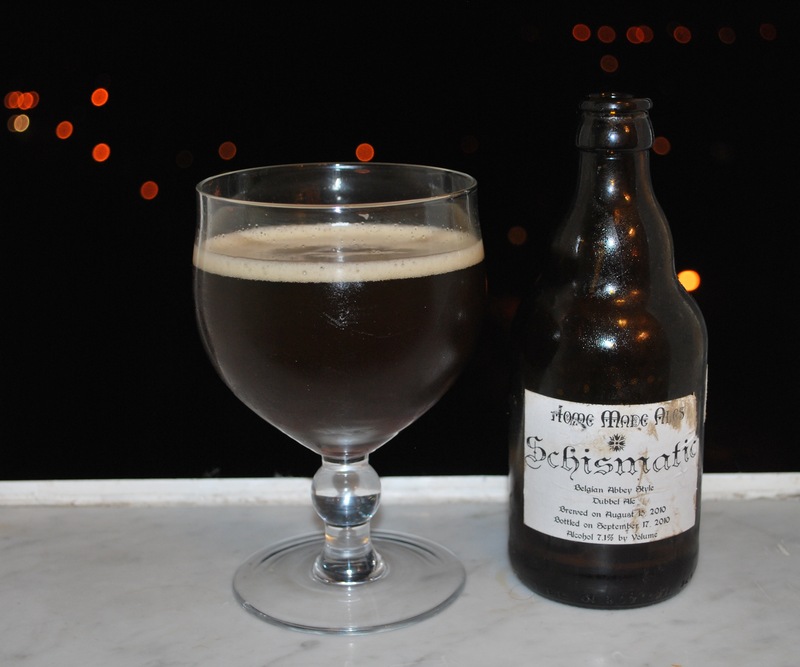 On to Brettanomyces – the favorite yeast of majority of this blog’s readers! Now I’ve said it a hundred times before, but I’ll say it again. Brett is yeast and not bacteria. I’ve been to beer presentations and meetings where speakers call them bacteria, I’ve met and talked to homebrewers who think Brett are bacteria and I’ve read stuff online calling them bacteria. This misunderstanding is probably caused by lack of biological education among most brewers and beer aficionados, and that’s OK. That’s why blogs like this one exist. Yeast are eukaryotes which means they have nucleus and complex organelles enclosed within membranes, while bacteria are prokaryotes which means they do not have these structures and their genome is not enclosed within a nucleus. Bacteria are a lot simpler in terms of cellular and genetic structure and are about 1/10 the size of an average yeast cell or smaller. Yeast belongs to the fungi kingdom, which means they are neither plants nor animals, but their own separate kingdom of living creatures and are cousins of mushrooms. Now that we are clear about that, let’s talk about some history and characteristics of Brettanomyces. The first strain of Brettanomyces was characterized in 1904 by N. H. Claussen, who isolated it from an old English stock beer (Gilliland 1961). The name Brettanomyces is derived from “British fungus” because the flavors produced by it were typical of British beers at that time. In 1940s M. T. J. Custers did a systematic study of this yeast and found its association with wine (Custers 1940). Over the years the taxonomy of the genus underwent several revisions and initially consisted of five strains: Brettanomyces bruxellensis, Brettanomyces lambicus, Brettanomyces clausenii, Brettanomyces anomalus and Brettanomyces intermedius, which reproduced asexually by budding (Custers, 1940; Van der Walt & Van Kerken, 1958). In 1964 production of ascospores was noted and genus Dekkera was introduced into the classification to denote spore-forming Brettanomyces species (Van deer Walt 1984). Importance of this discovery was that Brettanomyces are able to reproduce sexually and not only by budding, introducing a much greater genetic variability. Currently the Brettanomyces/Dekkera genus contains five species: Brettanomyces custersianus, Brettanomyces naardenensis, Brettanomyces nanus, Brettanomyces anomalus and Brettanomyces bruxellensis (Kurtzman & Fell, 2000; Cocolin et al., 2004). The last two also exist as telomorphs (sexually reproducing, spore forming forms) and are known as Dekkera anomala and Dekkera bruxellensis, respectively (Kurtzman & Fell, 2000). Strains popular among brewers such as B. lambicus and B. clausenii officially now belong to and are subspecies of B. bruxellensis and B. anomalus, respectively. This means that the trademarked names sold by the yeast companies may not accurately reflect the taxonomical classification of these yeasts. There has been a surge of interest in Brettanomyces research in recent years and their morphological, physiological and biochemical characteristic have been studied in depth. Currently there is an argument whether or not it is wise to keep the distinction between Brettanomyces and Dekkera as there seems to be no DNA distinction between the anamorphic and telomorphic forms (Loureiro & Malfeito-Ferreira, 2006). 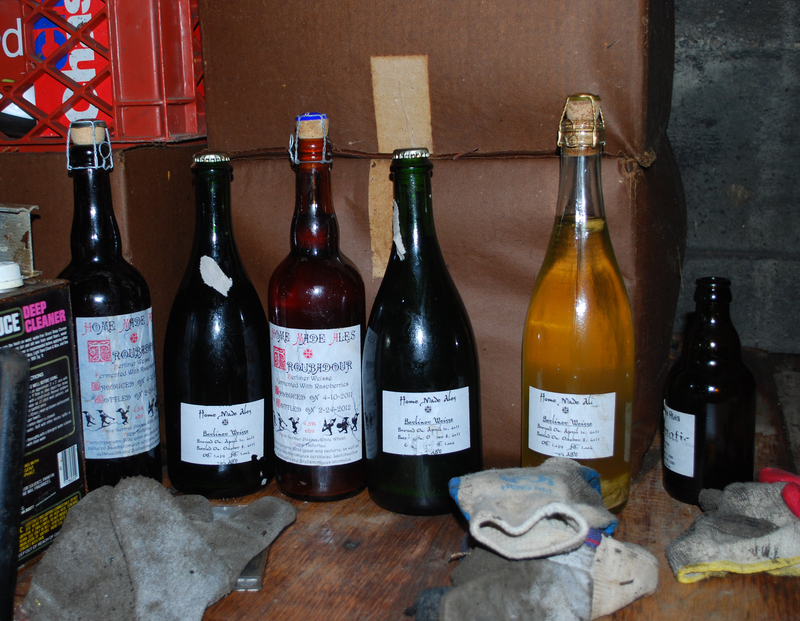 This is also influenced by the fact that most, if not all, of these studies are paid for by the winemaking industry as Brettanomyces bruxellensis is a major contaminant in red wine with Brettanomyces anomalus playing a lesser role and the Dekkera form is not observed in fermenting wine. Other than wine, Brettanomyces also plays a role in fermentation of cheese and other dairy fermentation products, beer, cider, kombucha and tequila. It has been found on grapes, bees, fruit flies and even olives (Van der Walt & Van Kerken, 1958; Phaff et al., 1978; Deák & Beuchat, 1995; Kotzekidou et al., 1997). It has also recently surfaced as a major contaminant in biofuel production where it actually grows strong enough to compete with other yeast. This robust fermentative capacity of that particular strain sparked an interest in possibility of utilizing it for biofuel production and to the best of my knowledge there is research being done in this direction. Since all this research is done in wine context, I’ll try to draw parallels to beer fermentation and aging. During normal wine and beer fermentation Brettanomyces is generally associated with aging as they are easily outcompeted by other rapidly fermenting yeast. During aging and cellaring, however, their numbers increase due to more favorable conditions after the end of alcoholic fermentation that suits their slow growing characteristics by providing them with traces of residual sugars (Fugelsang et al., 1993). Unlike wine makers, brewers do not use sulfur dioxide during aging and cellaring therefore beer is a much more welcoming environment for Brettanomyces. As beer ages there is very little microbial competition, low residual sugar content and cell autolysis that releases plenty of nutrients. Of particular benefit for Brettanomyces are wooden barrels, which, due to their porous structure, allow oxygen to slowly seep into the beer as well as present them with cellobiose, which is a sugar they can utilize (Boulton et al., 1996). It is also all but impossible to sanitize wood so once a colony establishes itself it’s there to stay (Oelofse et al., 2008). A number of selective media for Brettanomyces isolation and growth have been developed over the last 50 or so years with varying degrees of efficiency and there are nice examples of them available at Chad Yakobson’s Brettanomyces Project web resource. Production of volatile phenols by this yeast is what winemakers are afraid of and what funky brewers are embracing. These phenols are a large family of aromatic compounds with vinyl- and ethylphenols being the main culprits of the horse, leather, sweat, barnyard and spicy characteristics that we all know and love (Chatonnet et al., 1992; 1995; Suárez et al., 2007). Phenol production occurs as a survival response in an increasingly acidic environment. Brettanomyces convert various acids that are produced during fermentation or present in fruit (think of all the fruit sour beers) into volatile phenols to survive in the increasingly toxic environment while we reap the benefits of the resulting funky complexity of these chemicals. Enzymes and mechanisms of phenol production have been well studied and are way over average homebrewer’s level. These yeast are also known for their ability to generate acetic acid and impart vinegary characteristics to beer and wine (Van der Walt & Van Kerken, 1958). Acetic acid production occurs in presence of oxygen and requires glucose as starting material. Even if there is glucose available, but no oxygen, they will not perform acetic fermentation (Licker et al. 1998). It should be noted that not all Brettanomyces species produce acetic acid. For example B. naardenensis and B. nanus do not and this property can be used as a selective marker to distinguish between strains. However these strains are not important in brewing and aren’t seen very often. A very popular myth in brewing world is that Brettanomyces and other yeast and bacteria form a pellicle on top of the beer surface to protect the beer from air. That is a complete nonsense since they couldn’t care less if your beer is oxidized or not and what it tastes like. They simply like to hang around there due to availability of oxygen and in doing so make a complex matrix called pellicle where yeast and bacteria often work together to a mutual benefit. There are also a number of other compounds and acids produced which account for various flavors and aromas such as mouse, popcorn, metallic, pineapple, apricot etc with ethanol being a precursor for many of them, but further elaboration of their production is probably unnecessary. 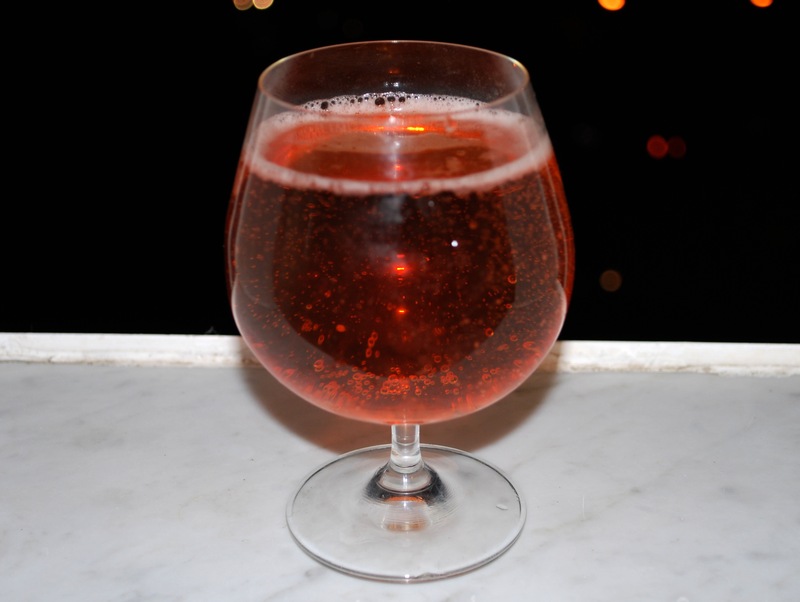 In recent years the use of Brettanomyces as the main fermenting organism in beer it has gained noticeable popularity. Since this practice is so new there has been virtually no research done on their biology in such uncompetative conditions. The only thing we know for sure at this point is that when there is no microbial competition they behave very similar to Saccharomyces and produce clean and fruity beers. The pioneers in this movement recommend lager-pitching rates for all-Brett ales and it sparked my curiosity and eventually lead to creation of this article. All in all beer microbiology is an extremely complex subject and one lifetime isn’t enough to study it. There are many strains within each species, each with their unique characteristics same as with Saccharomyces. As a food for thought for all you Brett junkies out there, I recently read a paper on metabolic assay of dozens of B. bruxellensis strains and some of them do well at lager temperatures while others have incredible alcohol tolerances. Could we see all-Brett lagers and imperial brews in coming years? In my home lab I decided to look at cell size of the Brettanomyces C3 isolate and compare to US-05. The resulting figure below illustrates the difference between the yeast types mentioned above in terms of their size. 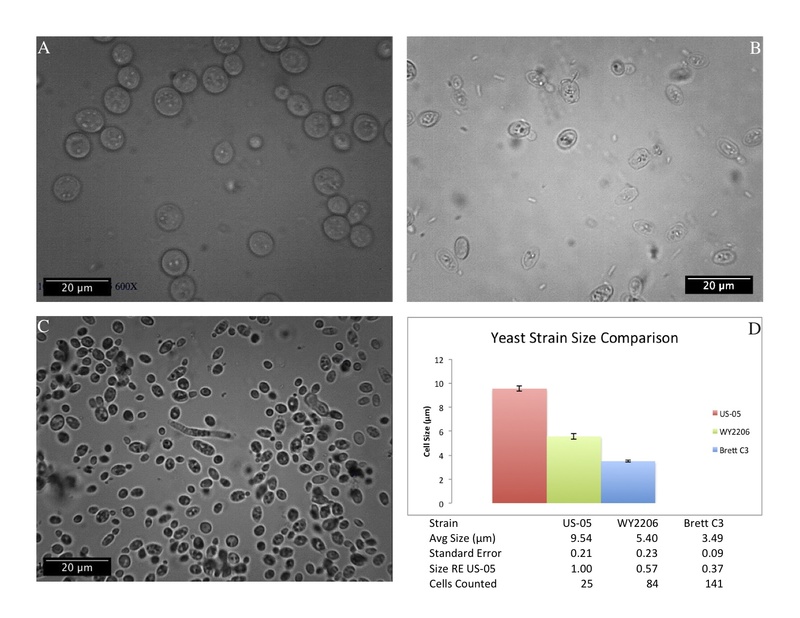 Yeast Cell Size Comparison: A) US-05, B) WY2206, C) Brettanomyces C3 Cantillon Iris (2007) Isolate, D) Chart comparing average cell diameters based on the micrographs shown. Cells that were oblong rather than round were measured at approximately 45 degree incline relative to the midsection to approximate circular diameter. Micrographs were taken at 600x magnification. Processing and measurement was done using specialized software and calibrated using a 0.01mm scale calibration slide. Error bars reflect standard error. As you can see Brettanomyces cells are up to 3 times smaller than the normal ale strain cells. Such size difference may very well account for the higher pitching rates required in all-Brett fermentations (same rationale as for lagers, see above). I’d even go as far as recommend doubling or even tripling the pitch rate for the C3 strain that a lot of you are currently playing with. From my personal experience with this yeast I can tell you that underpitching results in buttery/popcorn flavors that slowly diminish over time. Could be dactyl, or it could be one of the aromatic compounds they produce. Beer currently fermenting on top of that underpitched beer’s cake still emits very sweet overripe pineapple and mango aromas through the airlock for about 5 weeks now. Let’s look a little bit at cell volumes. Assuming we can project these data and assume the cells may be thought of as spheres based on an average diameter, their average volumes would be 455, 82 and 22 μm3 for US-05, WY2206 and Brettanomyces C3, respectively. This implies that there is a 20-fold difference in the cell volumes between US-05 and Brett C3 and 5-fold between US-05 and WY2206. Just imagine how many more cells would be there in the same volume of sediment! We’ll come back to this topic and its implications a little bit later in this article. An interesting point was brought up during the review of this article in regard to cell size changing between fresh pack from WYeast and after they have had a chance to ferment. To address that, I compared WY2206 fresh from a pack and after 5 days in liquid culture (DME-based starter). Resulting sizes did not differ significantly (0.2 µm) and so I conclude that the size does not significantly differ between packed and active yeast. It should be pointed out that the measurements presented here are only pertinent to these particular yeast strains. While it looks like the sizes of various Brettanomyces spp. species and S. pastorianus strains are around the same as shown here, there is evidence that there may be a significant fluctuation in sizes between S. cerevisiae strains (unpublished data). I theorize that US-05 is a robust strain, which is able to survive the harsh conditions of dry preservation that, as I’m sure you all know, is lethal to most other yeast strains. This could be in part due to their size, which may be bigger than other “liquid culture yeasts” such as the ones you may buy from WYeast or White Labs. This issue will be addressed in future posts in collaboration with Sam at Eureka Brewing. We’re already working on it so look out for that in the upcoming weeks. Now that that’s a little bit cleared up, what are some of the common ways to measure cell numbers? Direct Counting Measures: Give us very precise numbers. – Special Slide (cell counter/hemocytometer) with grids of known volume. – Count cells and convert them to cells per mL. – Can’t differentiate viable cells from dead ones unless vital stains are used. – Coulter Counter: cells pass through an electrical current and interrupt it. The interruptions are noted and converted into cell counts. – Flow Cytometer: cells pass through light path and are counted. Similar to Coulter. – Neither gives viable cell count. – Cells are diluted through a serial dilution and a known volume is plated. – Each colony on a plate corresponds to a single viable cell originally plated – colony forming units (CFU). – Gives a viable cell count. Based on the number of colonies resulting from the known volume plated, the original viable cell count may be calculated. For example: A million fold dilution was made and 100µL (microliters, 1µL = 1/1,000mL so 100µL = 0.1mL) of it was plated and gave rise to 50 colonies. Thus the original live cell count was: 50 colonies X 1,000,000 fold dilution / 0.1mL = 500,000,000 cells per mL. If this was a 1-liter starter, multiply this by 1,000 and you’ll get 500 billion cells in that starter. Indirect Counting Measures: Do not give exact numbers, but rather estimate them by indirect means. There is a large room for error in all these methods. – Known metabolic rate of the organisms. Assumes it is known how fast the cells metabolize nutrients, produce waste products, affect pH of the environment they’re in. – Measuring the concentration of nutrients, waste, and pH changes in the culture and based on the observation approximate cell count is calculated. – Filter culture through a filter paper, dry and weigh it. – Estimate the number of cells from the change in weight. – Must know approximate average weight of the cells. – As the cells multiply the medium becomes cloudier. – Changes in turbidity are measured by a spectrophotometer. This instrument measures the amount of light passing through culture. Inversely proportional to the culture density. That is the more cells are there the less light passes through. – Drawback would be that if one strain has a different cell size than another, the absorption plots would be different for each such strain. – Possibly more appealing to an average homebrewer. – Number of cells estimated based on the proportion of the yeast sediment volume to the total volume. – Assumes approximate average size and volume of the cells in the given culture is known introducing room for a significant error. – Sedimentation time and temperature are also important factors. Some strains flocculate better than other and bigger cells fall out faster than smaller ones, thus introducing a possibility for an error. Centrifugation may be used to solve this, but it probably isn’t an attractive approach for homebrewers. Cold passive sedimentation is probably better. Of the techniques listed above three are readily available to homebrewers: microscopic counting by the use of hemocytometer, dry weight, and volume estimation. Lets begin with the least costly and least reliable and move towards the gold standard. Volume Estimation: WYeast offers a beautiful guide as to how to do this here and I do not think it is necessary for me to elaborate on the topic beyond their explanation (WYeast Laboratories). Just one point – their instructions are true for average ale yeast. Lager strains as well as Brettanomyces will not conform to this convention due to their smaller cell size as shown above, so there would be several times more cells in the same volume, respectively. Dry weight: Usually this technique is performed with the entire culture, but for a brewer drying out the whole starter would not result in anything good so let’s look at a different approach. It is quite easy to raise a culture of your favorite strain and make a number of dilutions such as 1-5-10-20-50-100 million cells per mL, then take 1mL of this and put it on a piece of pre-weighed filter paper, napkin, or a piece of paper towel. Allow it to dry either passively or by putting it near a heat source to speed up the process. After it is dry, measure the weight and compare to what it used to be before. Repeat it a few times for each dilution to obtain an average weight. This way you could easily construct a graph that will give you a cell to weight ratio and plot into which your latter measurements may be fitted and allow you to project your starter density easily. Drawbacks of this method would of course be inability to distinguish between living and dead cells, as well as requirement for a microscope and hemocytometer at the initial stage to make the initial counts and dilutions. One would also need precise balance able to measure to fractions of a gram, but most homebrew stores carry them these days. Kai Troester at Braukaiser utilizes an approach similar to this. His approach is through a total weight of the entire wet culture. While the weight of the flask and stirrer are known and don’t change and so are not unknown factors, the volume of the actual slurry is. This results in a variable density of the culture from batch to batch and introduces room for error especially with low flocculating strains. It is a good and useful approach nonetheless and errors are within reasonable bounds (Troester, 2012). Microscopic counting: I’m absolutely sure that every brewer who has ever heard of yeast cell counts is familiar with this method. There are endless articles, posts, how-to etc all over the net and there is no need to me to reiterate this. It is the best method utilized by everyone who wants precise and fast results. If you do want to refresh your memory, Kai wrote a marvelous article about counting here (Troester, 2012). He also goes over methylene blue staining, which is widely used for purposes of assessing yeast viability. Dead cells stain blue, living ones do not because it turns colorless in the living cytoplasm, and it works to a certain degree. Those of us who are a little familiar with this stain also know that it often gives false results and sometimes introduces a significant error in viability estimations because it scavenges the hydrogen atoms and inhibits yeast respiration. In my opinion trypan blue, which works on a principle of cell membrane integrity, is a lot better, but there is a drawback. It’s out of reach for most homebrewers and it’s also expensive. You can probably buy about half a liter of methylene blue solution for the price of a vial of trypan. I’ve been reading some literature on other vital stains that could be used by homebrewers and came across Phenol Red and Neutral Red that work by changing color inside the cells due to pH difference between the cytoplasm and outside environment. However my experiments with those stains did not yield any results yet. If anything useful comes from it, I’ll write about it. There is also a possibility to do a Metabolic Activity Assay on a homebrew level. It would be necessary to do a thorough analysis of each yeast strain and population vs fermentation curves should be thoroughly analyzed. – Pitching the right number of yeast cell into your beer is important for a proper and complete fermentation. – Lager yeast cells are not the same as ale yeast in terms of both size and species. – Brettanomyces are a very different yeast species with very different characteristics and their cells are considerably smaller than average ale yeast. – Since these cells are so much smaller, it is necessary to pitch at least twice the regular number of cells into your wort for fermentation to proceed normally if you’re doing pure strain fermentation. 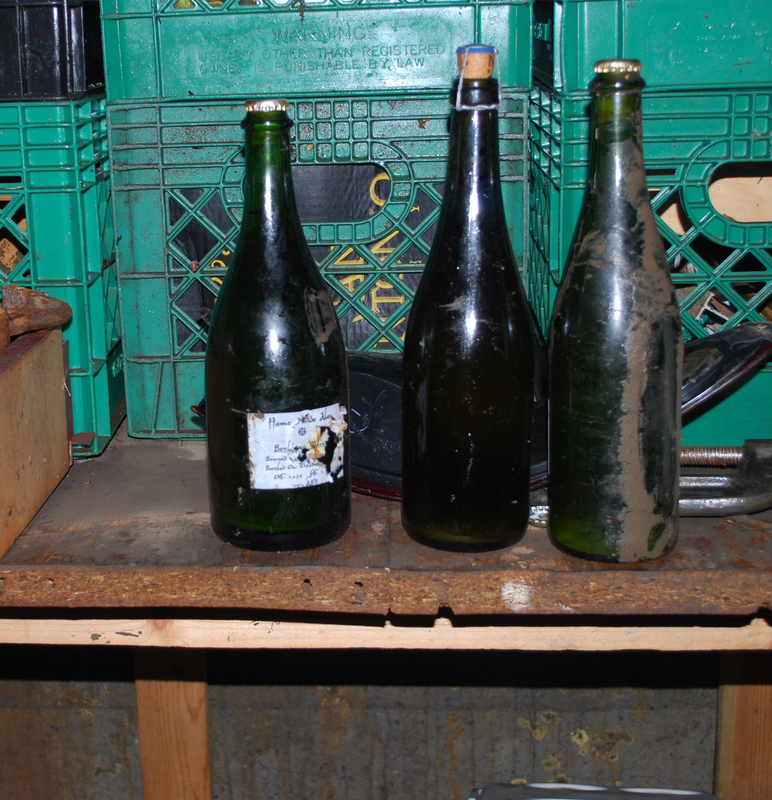 – Conditions of stress and low nutrition are required for Brettanomyces to produce their funk. This should not be mistaken with fermentative stress such as what may occur in underpitched wort. Underpitching would create high nutrition environment and stress conditions and would result in much similar outcomes as underpitching your regular brew. Post-fermentation environment with its low nutrition, trace sugars, acidity, acids, alcohols and other byproducts is what’s needed for the funky processes to happen. Byproducts released by Saccharomyces cerevisiae species during fermentation can be and are utilized by Brettanomyces spp. in a cofermentative environment, resulting in funk as well when the wort is inoculated by both species from the start. – Oxygen is needed for acetic acid as well as some other funk production by Brettanomyces. – Brettanomyces can utilize sugars from wood to survive and also hang around its surface as well as surface of the beer (forming the well known pellicle phenomenon) because there is oxygen there. However not all species can form a pellicle on their own. – Brettanomyces aren’t some evil creatures with an aim to spoil your beer, but rather a wonderful family of organisms with a fascinating biology and their contributions to the brewing world are nothing short of marvelous. – Brettanomyces fermentation is an area of active research that hides many secrets. 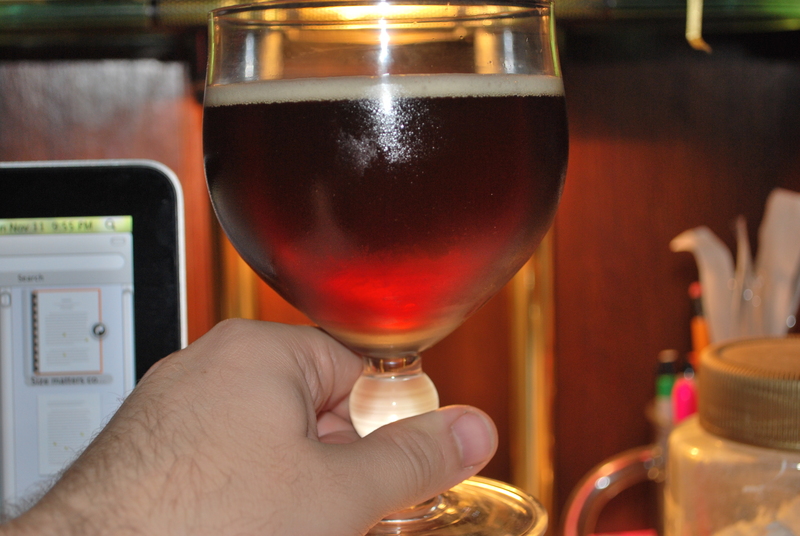 – There are various techniques available even to homebrewers allowing estimating or obtaining a precise cell density. I hope you enjoyed reading this this article as much as I did putting it together and it was helpful to you in one way or another. Samuel Aeschlimann of Eureka Brewing – my friend and brother in arms in both homebrewing and science, whose comments and remarks were very helpful and lead to prolonged discussions and raised a number of interesting questions. Look for a series of collaborative scientific posts with him in the near future. Dr. Tom Schmidlin – a scientist and a homebrewer whose comments and remarks were very helpful. Kai Troester of braukaiser.com – a homebrewer and experimenter whose work is quite interesting and serves the benefit of homebrewing community, for his expertise in Plato system as well as comments regarding yeast. Brandon Jones of EmbraceTheFunk – a funk missionary who endlessly works to spread the funk around, for his helpful comments and questions. Boulton, R.B., Singleton, V., Bisson, L.F. & Kunkee, R., 1996. Principles and Practices of Winemaking. Chapman & Hall Publishers New York, NY. Chatonnet, P., Dubourdieu, D. & Boidron, J.N., 1995. The influence of Brettanomyces/Dekkera sp. yeasts and lactic acid bacteria on the ethylphenol content of red wines. Am. J. Enol. Vitic. 46, 463-468. Chatonnet, P., Dubourdieu, D., Boidron, J. & Pons, M., 1992. The origin of ethylphenols in wines. J. Sci. Food Agric. 60, 165–178. Cocolin, L., Rantsiou, K., Iacumin, L., Zironi, R. & Comi, G., 2004. Molecular detection and identification of Brettanomyces/Dekkera bruxellensis and Brettanomyces/Dekkera anomalus in spoiled wines. Appl. Environ. Microbiol. 70, 1347–1355. Custers, M.T.J., 1940. Onderzoekingen over het gistgeslacht Brettanomyces. PhD Thesis, Delft University Delft, The Netherlands. Deák, T. & Beuchat, D.R., 1995. Modified indirect conductimetric technique for detecting low populations of yeast in beverage concentrates and carbonated beverages. Food Microbiol. 12, 165-172. Fugelsang, K.C., Osborn, M.M. & Muller, C.J., 1993. Brettanomyces and Dekkera. Implications in winemaking. In: Gump, B.H. (ed). Beer and wine production: analysis, characterization and technological advances. American Chemical Society, Washington DC, pp. 110-131. Kotzekidou, P., 1997. Identification of yeasts from black olives in rapid systems microtitre plates. Food Microbiol. 14, 609-616. Kurtzman, C.P. & Fell, J.W., 2000. (4th ed. revised). The yeasts. A taxonomic study. Elsevier Science Publisher BV, Amsterdam, The Netherlands. Licker, J.L., Acree, T.E. & Henick-Kling, T., 1998. What is ‘‘Brett’’ (Brettanomyces) flavour? A preliminary investigation. In: Waterhouse, A.L. & Ebeler, S.E. (eds). Chemistry of wine flavour. ACS symposium series. Am. Chem. Soc., Washington, DC, pp. 96-115. Loureiro, V. & Malfeito-Ferreira, M., 2006. Dekkera/Brettanomyces spp. Chapter 13. In: Blackburn, C. de W. (ed). Food spoilage microorganisms. Woodhead Publishing Ltd, Abington, Cambridge, UK. pp. 353-398. Nakao, Y.; Kanamori, T.; Itoh, T.; Kodama, Y.; Rainieri, S.; Nakamura, N.; Shimonaga, T.; Hattori, M.; Ashikari, T. Genome sequence of the lager brewing yeast, an interspecies hybrid. DNA Res. 2009, 16, 115-129. Oelofse, A.; Pretorius, I.S. and du Toit, M. Significance of Brettanomyces and Dekkera during Winemaking: A Synoptic Review. S. Afr. J. Enol. Vitic., Vol. 29, No. 2, 2008. 128-144. Phaff, H.J., Miller, M.W. & Mrak, E.M. 1978 (2nd ed). The Life of Yeasts. Harvard University Press, Cambridge, MA, p. 341. Querol, A.; Bond, U. The complex and dynamic genomes of industrial yeasts. FEMS Microbiol. Lett. 2009, 293, 1-10. Suárez, R., Suárez-Lepe, J.A., Morata, A. & Calderón, F., 2007. The production of ethylphenols in wine by yeasts of the genera Brettanomyces and Dekkera: A review. Food Chem. 102, 10-21. Tamai, Y.; Momma, T.; Yoshimoto, H.; Kaneko, Y. Coexistence of two types of chromosome in the bottom fermenting yeast, Saccharomyces pastorianus. Yeast 1998, 14, 923-933. Van der Walt, J.P. & Van Kerken, A.E., 1958. The wine yeast of the Cape. Part I. A taxonomical survey of the yeasts causing turbidity in South African table wines. Antonie van Leeuwenhoek. 24, 239-252. Van der Walt, J.P., 1984. Dekkera van der Walt. In: Kreger-van Rij, N.J.W. (ed). The Yeasts: A Taxonomic Study. Elsevier Science Publishers, Amsterdam, The Netherlands, pp. 146-150. So these last couple of days I’ve been going through the junk that’s been destroyed in the basement and throwing everything out. 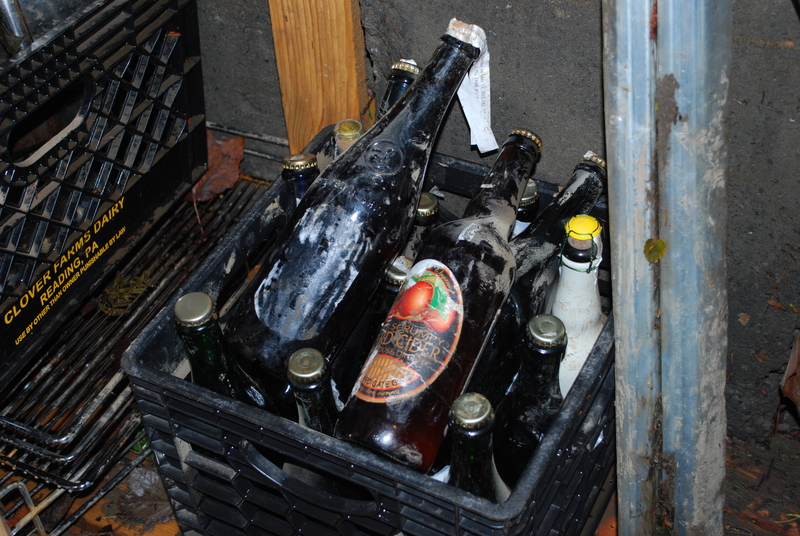 All my beers and mead drowned in the flood there and, as I mentioned previously, just got dirty, but survived otherwise. Among the disaster something very pleasant appeared. That something was a whole box of a dubbel I made over two years ago and thought was gone completely. Don’t know where it was hidden, but it got uncovered by the water. This was one of the last beers I entered into a competition and it did reasonably well (34 I think). I’ve thrown out all the score sheets because they’re all trash and never offer anything constructive even if they are “perfect example of the style” and “no aroma or flavor flaws”, which is why I don’t enter competitions anymore. For example one of the judges based his entire scoring on the Brett character in that dubbel. Only problem is that there was no Brett in it whatsoever and I didn’t even have any Brett in my yeast collection back then. Just a waste of good beer. In any case I put the bottles into the fridge and decided to pop one as I was reading through some stuff for an upcoming post that was a lot of work and I think you all will enjoy. Another thing that makes this brew so special to me is that the original recipe is lost for ever. It was on my hard drive when it crashed in December 2010 and was never recovered. Funny how I remember every recipe lost in that crash (including a very special Trippel that might pop up sometime in a certain Wisconsin brewery 🙂 ), but not this one… Alas! Hope you guys enjoy this little tasting with me. Bottles of the Witch Poison Gruit. Labels got completely washed off. Appearance: Deep dark red. Clear, but really dark so you can’t really see through it. Lots of bubbles coming up. Thick, dense head that last a few minutes and falls back to around 1/4 inch and stays like that. Smell: Strong smell. Can feel it as soon as you open the bottle. Sweet, malty, bready, rum notes, sweet alcoholic notes, dark stone fruits, plums, D-2 candi syrup, beautiful Belgian yeast notes. Taste: Mmmmmm! Mmmm! Mmmmmmmmmmmm! Oh how I missed this beer! Taste is very similar to smell, but amplified. Bready malt, stone fruits, sugar, yeast. Bread and yeast dominate this one. Some very nice alcohol touch adding spiciness to the picture as well as light warming in your chest after a few sips. Dry finish. Really cool how it’s dry, but you still get that malty and sugary taste. Finish is not very long. Some oxidation is apparent in the very very end, but that’s not really surprising after years in the bottle. Mouthfeel: Very light, almost soda-like. Medium-high carbonation keeps it tasting light and prevents from being heavy. Really easy drinking beer. It’s time to finally do an official Raspberry Berliner tasting! In the aftermath of the disastrous hurricane Sandy that stormed through the eastern seaboard it’s nice to have something as simple and comforting as a glass of good brew. During the storm I lost power for some time, cell network, hot water and heat, but now everything is fine and I’m back to brewing and drinking. It should probably be mentioned that this bottle is the only 750mL bottle of Troubadour that escaped the storm unscathed thanks to being in the fridge. 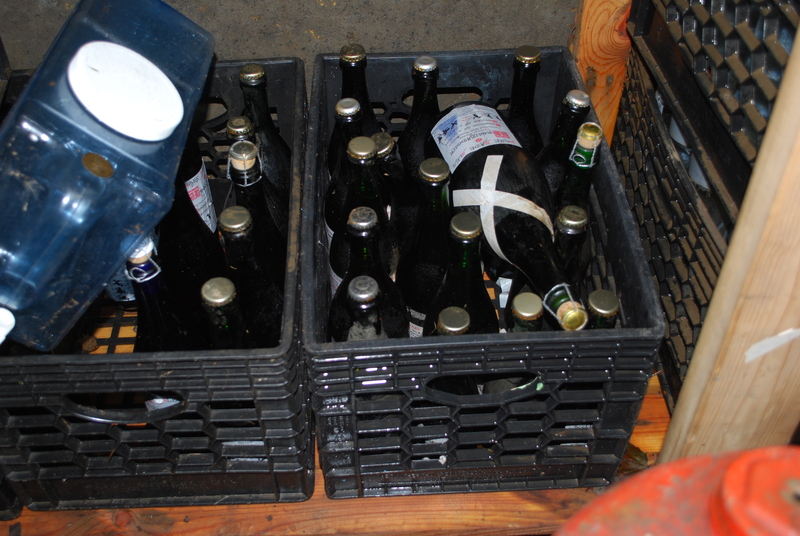 All others, along with plain Berliner, Witch Poison Gruit, Mead and others were in a basement that got flooded and I didn’t think anything survived in there after seeing the complete destruction that the flood caused. This morning I went down there with a flashlight and waded my way through water, mud, silt, broken furniture, destroyed boxes and so on in search for my beer and some lab equipment I was keeping there. 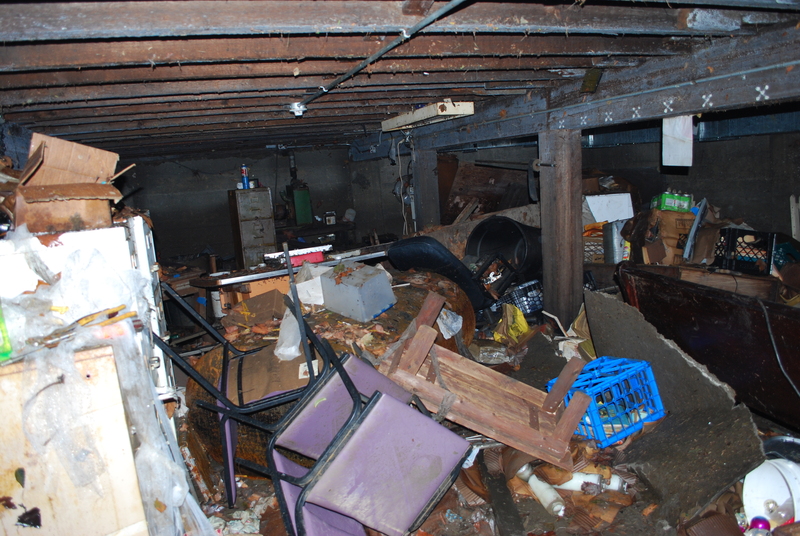 After seeing annihilated shelves and chairs hanging from the ceiling (water rose higher than the basement sealing) I didn’t have much hope, but luckily all my beers and mead escaped unharmed and were only covered in silt! I was able to recover everything I hoped to find there in good condition. Anyway, let’s get down to it! I’ve only tasted this beer once before this summer when I brought it to a homebrew meetup and it was well received and I liked it more than the plain version. Not a single bottle had been opened since then so it was a bit of a special experience opening this one. Since my family is celebrating my birthday tonight (it’s actually tomorrow, but everyone is busy) it was a nice addition to the evening. Appearance: Brilliant, crystal clear. Orange-pink color. Lots of bubbles. Head rises and quickly falls into a ring around the glass that persists throughout the tasting. Smell: Bright, acidic, very similar to the plain version but with a pronounced raspberry instead of champagne aroma. Funky. Sour. Delicious! Taste: Lactic sourness up front, but very gentle, just how I like it. Funk from the nose carries into the flavor and takes over. Raspberry pokes out here and there but is not the main player. It’s there, but in the back seat playing along with everything else that’s going on. Possibly very light, almost unnoticeable acetic note. Slightly musty. No malt noticeable. Mouthwatering tart finish. Vinous. Mouthfeel: Very light but with so much flavor! Overall: I impressed myself with this beer. Amazing how something so simple turned out so tasty. I am determined to get back into that basement and rescue my 15 Gal fermentors to get the next batch of Berliner going as soon as I can do it!